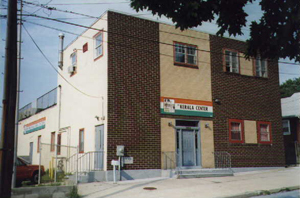 The Indian American Kerala Cultural and Civic Center (http://keralacenterny.com) will honor eight Indian American Malayalees for their outstanding achievements in their field of specialization or for their service to the society. The awardees were selected by a committee consisting of four members of Kerala Center’s Board of Directors and Trustees. 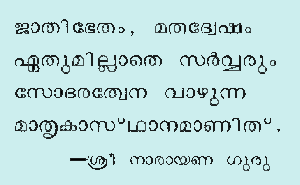 “Every year we invite nominations and the committee has to make a unanimous choice for a candidate in a category to be selected to receive the award and this year is no different from previous years in terms of their achievements,” noted a communiqué from the Kerala Center. This year’s honorees are: Dr. Jose Maliekal, Dean of the School of Science and Mathematics, The College at Brockport, State University of New York (SUNY) for his contribution in Education; Dr. Raghu Menon, Head of Business Development for North & South America for Linde Industrial Gas for Business Leadership; Dr. Mahadevan Padmanabhan, Technical Advisor Alden Research Laboratory (Holden MA) and Adjunct Prof. in the Dept of Mechanical Eng. at the Worcester Polytech Inst. for Engineering; Rockland County Legislature and Pediatric Nurse Practitioner Dr. Aney Paul for Political Involvement; Mariam Paul, Director of Nursing at New York City’s Isabella Geriatric Care for Nursing; Dr. Arun Seraphin, Principal Assistant Director for National Security and International Affairs at the White House Office of Science and Technology Policy for Service to Govt. ; Dr. Freemu K. Varghese, a practicing nephrologist and immediate past president of Association of Kerala Medical Graduates (AKMG) for Achievement in Medicine and Community Service; and Gurukulam, the Indian School of Culture, Language and Arts and its founder/principal Joseph Mathew for Community Service. The awardees will be honored at Kerala Center's annual banquet on Saturday, November 9th starting at 6.00 p.m. at Leonards of Great Neck in Long Island (near Queens, New York City, address: 555 Northern Boulevard, Great Neck, NY 11021). The Chief Guest for the evening is Vijay K. Nambiar, Under Secretary-General and Special Adviser of the UN Secretary-General on Myanmar. Ambassador Nambiar will also be honored for his service to the U,N. The keynote speaker is Sree Srinivasan, Chief Digital Officer of Metropolitan Museum of Art and Adjunct Professor at Columbia Journalism School. 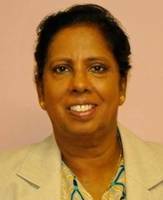 Dr. Aney Paul , a Pediatric Nurse Practitioner by profession and an Adjunct Professor at Nyack College, Dr. Aney Paul ranks as the highest elected Malayalee woman in the United States as a member of Rockland County Legislature. She has taken a very active and influential role in the Indian and American communities on both local and national levels. 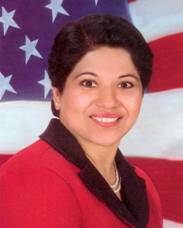 She is the Founder-President of the Indian Nurses Association of New York (INANY) and the founding member of the National Association of Indian Nurses of America (NAINA). She have received many awards for outstanding services and leadership from America and India currently. Mariam Paul has been the Director of Nursing at one of the largest not-for-profit skilled nursing facilities in New York for the past 19 years. In this crucial role, Mariam has led her team and organization through multiple deficiency free Department of Health surveys. Under her nursing direction, her organization now holds a five star rating for quality care. Recognized by the National Association of Directors of Nursing Administration as the 2013 Recipient of the Nursing Administrator of the Year in the Northeast, Mariam mentors the growth of fellow Malayalee nurses through her role at her organization every day. 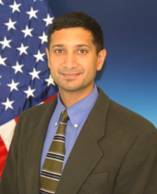 Dr. Arun Seraphin is currently the Principal Assistant Director for National Security and International Affairs at the White House Office of Science and Technology Policy. As such, he advises the President's Science Advisor and other senior Executive Branch officials on national security research and technology issues, including relating to budgets, cyber security, counterterrorism, defeating weapons of mass destruction, and innovation policy. Prior to this, he served in a number of public policy positions, including ten years as a senior staff member on the United States Senate Committee on Armed Services. Dr. Seraphin holds a Ph.D. in Electronic Materials from MIT, as well as undergraduate degrees in Political Science and Engineering Science from Stony Brook University. He lives in Virginia with his wife and four young children. Freemu K. Varghese, MD FACP, FASN, is a practicing nephrologist and President of Diagnostic Clinic of Houston. Dr. Varghese is also Strategic Medical Director for Corva Kidney Clinics; Medical Director for Quality Dialysis Inc.; Medical Manager for Renal Access Clinics; Chief of Renal Division, Universal Hospital, Abu Dhabi, UAE as well as President of FREEDIA Entertainment. 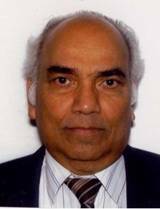 In terms of his community service, Dr. Varghese served as immediate past president of Association of Kerala Medical Graduates. (AKMG) and is also National Promoter for Stage Events, Movie Production and Distribution. Gurukulam - The Indian school of culture, language and arts registered in 1993 as an avant guard learning center and has been serving the Malayalee Community for the 20 years. Joseph Mathew, has been serving as the Founding Principal of Gurukulam and is the selfless guiding force for the school children. A large number of children who have attended Gurukulum have acquired and practiced the rich and ancient Indian culture and have enabled them to be proud of their parental heritage and their own identity by which the Malayalee community unity is strengthened. Mathew is also founder chief editor the popular monthly Janany for the last 15 years.